Happy holidays card from Utrecht. A beautiful original Illustration that can be sent with Christmas, as a winter greeting card or will be also beautiful on the wall. 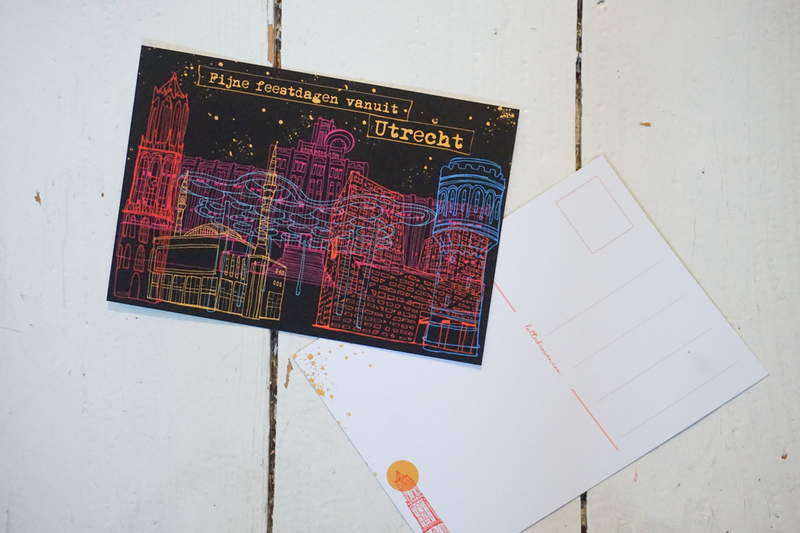 In addition, you can also put the card with a Christmas present as a gifttag. Always nice to send a card or hang it on the wall! 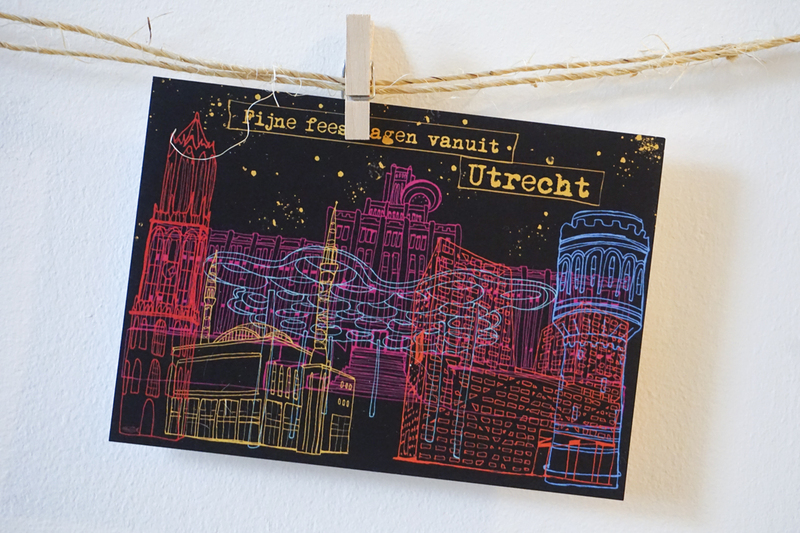 On the card you see the Domtoren, inktpot, watertoren, koepeldak, stadskantoor en moskee. The Christmas card cost €1,50 a set of 4 cards cost €5,50. You can buy the cards in my Etsy shop. I draw the illustrations myself. After that, I completed the drawing digitally. 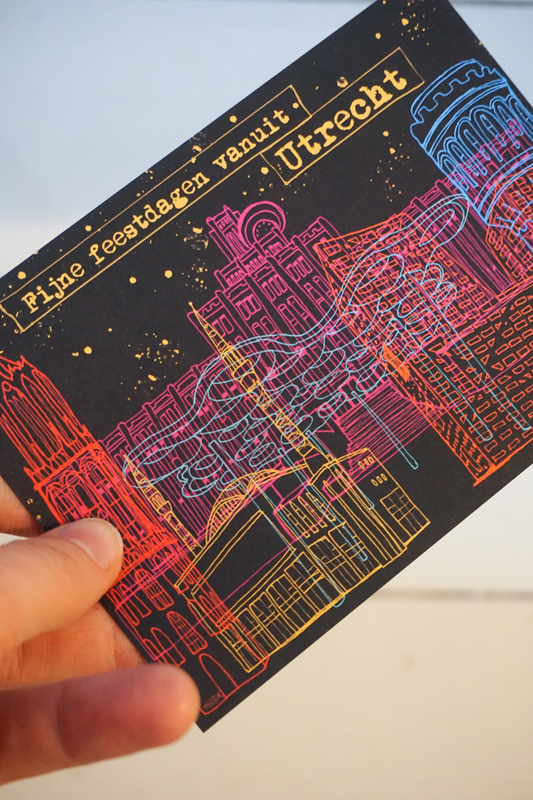 The card is printed on beautiful thick paper: HVO Offset, 350 grams.The size of this card is A6 (10.5 x 14.8 cm), this is the same as the standard postcard.